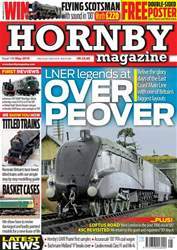 Locomotive announcements and releases hit the headlines as Hornby's RailRoad Gresley 'P2' 2-8-2 hits the shops and Bachmann, Kernow and Hatton's all announce new locomotive projects in 'OO' gauge! 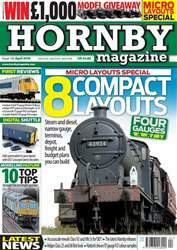 This issue also includes the second FREE kit in our latest series with Scalescenes.com which can be downloaded from within the app by double clicking on the 'free' kit banner. Don't forget to enter our big prize draw either - there are 16 prizes to be won with a total value of £1,500. 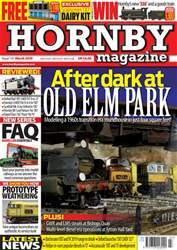 Plus we've got three stunning layouts inside including the Redditch Model Railway Club's new 'OO' model Oakenshaw, Halifax MRC's Acton Parkway and Graham Gatehouse's delightful Snug End. Our model makers show you how to build an overbridge, run in new models, reap the benefits of DCC control a stay alive technology while Mark Chivers suggests a collection of secondary passenger formations that you can model with readily available rolling stock.